We have examined unstable behavior in different nonlinear economic dynamic systems. 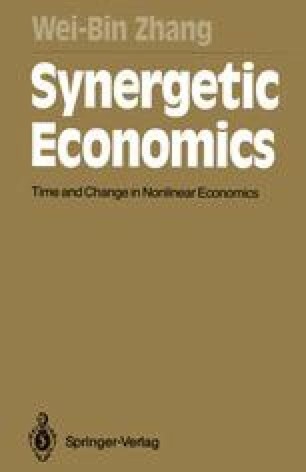 It has been argued that linearization and stability are not universal but limited cases in economic evolutionary processes. These emphases are different from what traditional economics focuses on. For instance, in Foundations of Economic Analysis Samuelson tried to find central features of economic phenomena in optimality, linearization and stability. With traditional comparative statics analysis and the correspondence principle we can only deal with systems in which small perturbations of parameters result in small changes of variables. In contrast to the traditional dynamics approach, this book studies those properties of dissipative systems in which small shifts of parameters cause qualitative changes of the dynamic behavior. We have shown that when the system becomes unstable, for instance, via perturbations in parameters, nonlinear terms become very important in determining the behavior of the system. In this chapter, we examine the economic implications of these observations. The existence of analogies between central features of various theories implies the existence of a general theory which underlies the particular theories and unifies them with respect to those central features.